This is a superb knife made by A.G.A. CAMPOLIN. 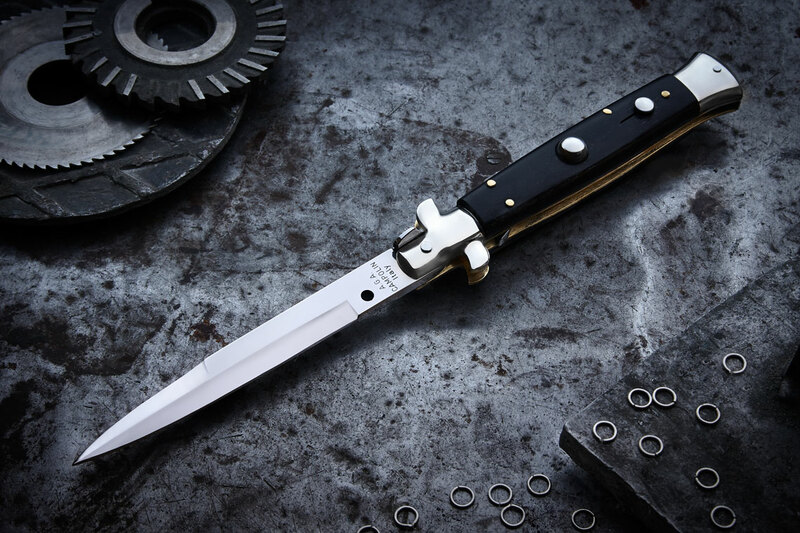 It is an italian stiletto exactly made like the knives from 40's-50's. It has 2 pieces 5mm spring and blade. Nickel silver button, safety and bolsters. Kick very strong. Very well finished. Made in limited quantity. Overall Length: 25cm / 10"
Blade Length: 12cm / 4.5"
Blade thickness: 5mm - 0.2"